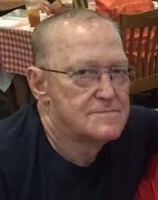 Provide comfort for the family of James "Jim" Fox with a meaningful gesture of sympathy. Jim was born April 29, 1941 in Freeman, MO to Sinia Elizabeth Fox. He grew up in Freeman, then moved to Olathe. He married Billie “Kaye” (Sanders) in Nowata, OK. They moved to Edgerton in 1973. Jim was a construction worker for Local Union #1290. He enjoyed fishing, gardening, mushroom hunting and telling anyone and everyone that would listen about Jesus Christ. Jim will be missed by family and friends. He was preceded in death by his parents and siblings: Floyd Fox, Thelma Kozak, Ilene Vanburger and Evelyn Vincent. 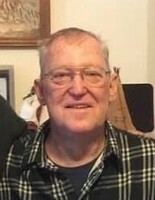 Jim is survived by his wife, Kaye, of the home; Sherry and husband Steve Jackson, Lexington, NC and Debbie Drury, Gardner, KS; six grandchildren: Bill Jackson, Tim Jackson, Luke and wife Paige Drury, Jacob Drury, Josh Drury, Erin and husband Gary Boston; three great-grandchildren: Kameron, Quinn and Merrick Boston.